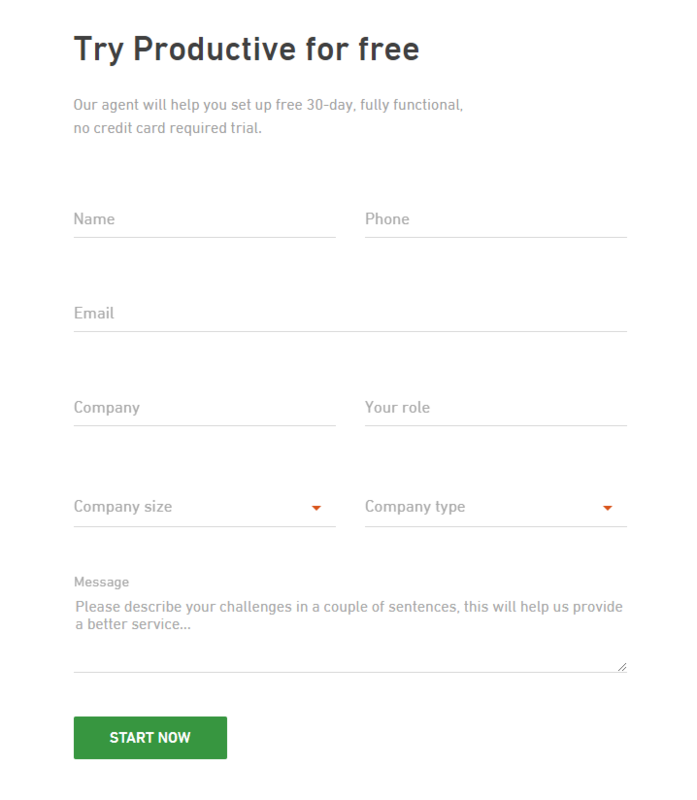 To start using Productive you need to sign-up for a 30 day free trial. 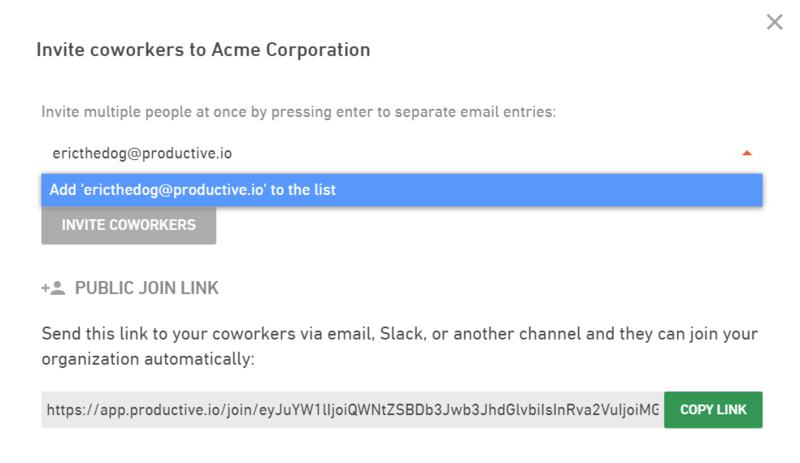 Another way is to get invitation from another user in which case you'll get an e-mail for creating an account yourself. 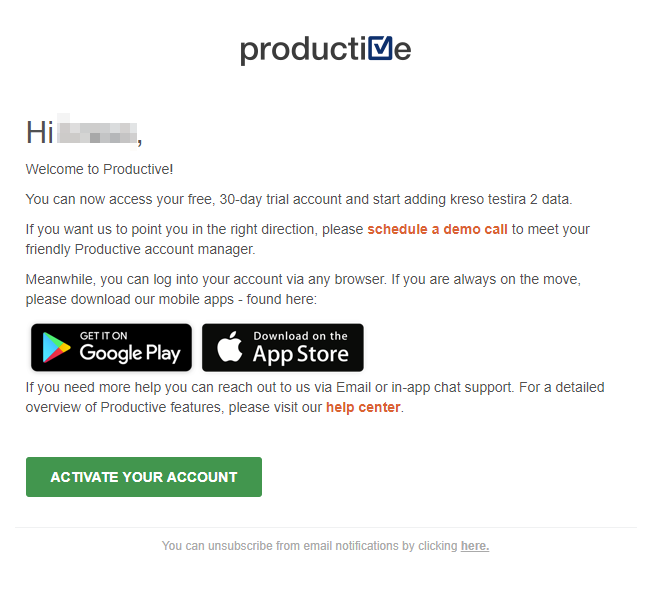 Go to https://app.productive.io/login and login with you email and password. (Now, take a few minutes and put down important information about your company. We strongly suggest that you do not skip the next three steps. 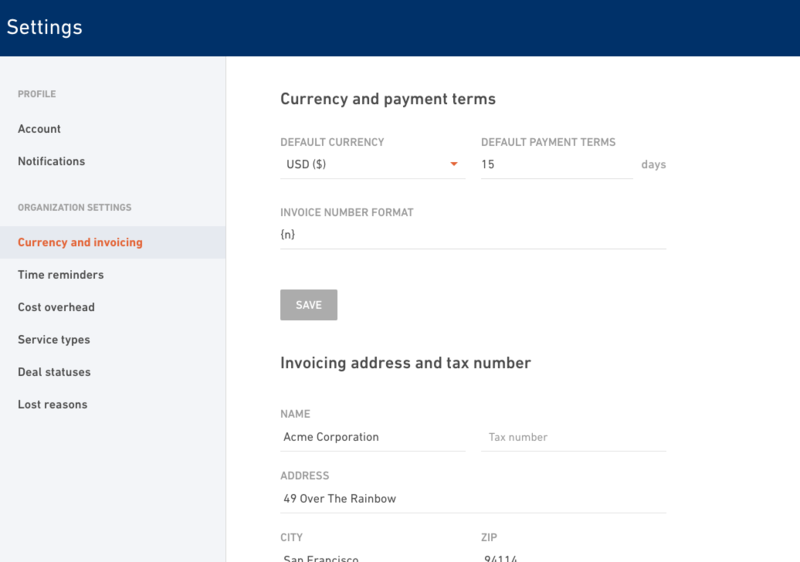 Select “Currency and invoicing” and set currency settings for your organization. 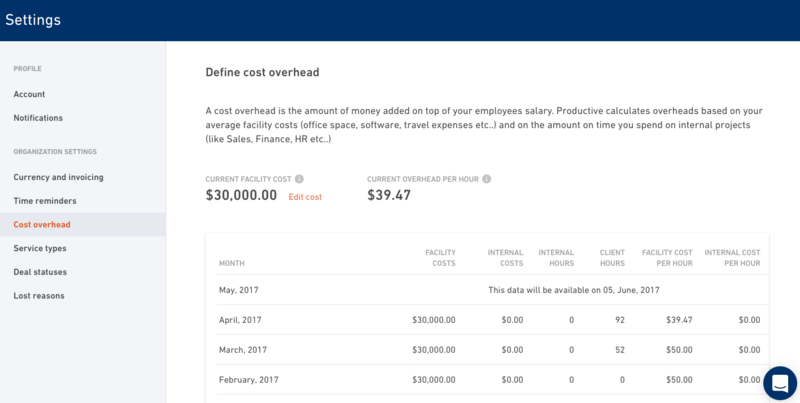 Select “Cost overhead” and enter you initial “Facility cost”. 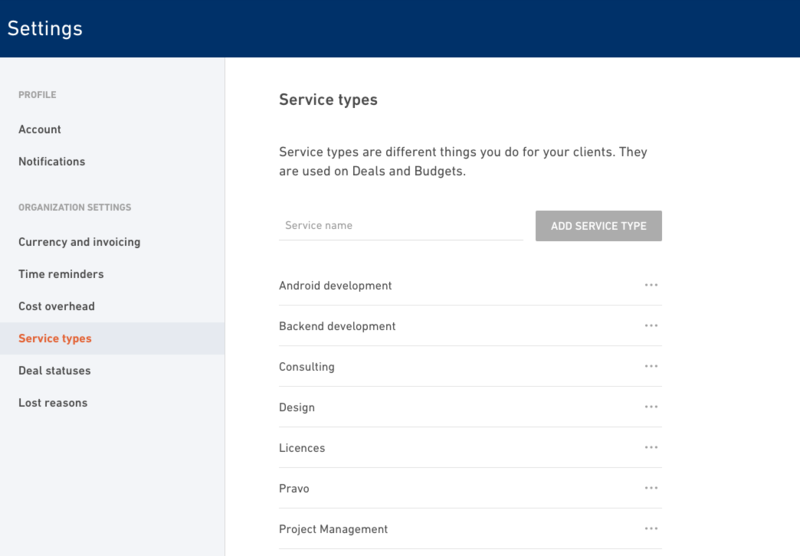 Select “Service types” and add few service types (e.g. Design, Development, Account management, etc..). 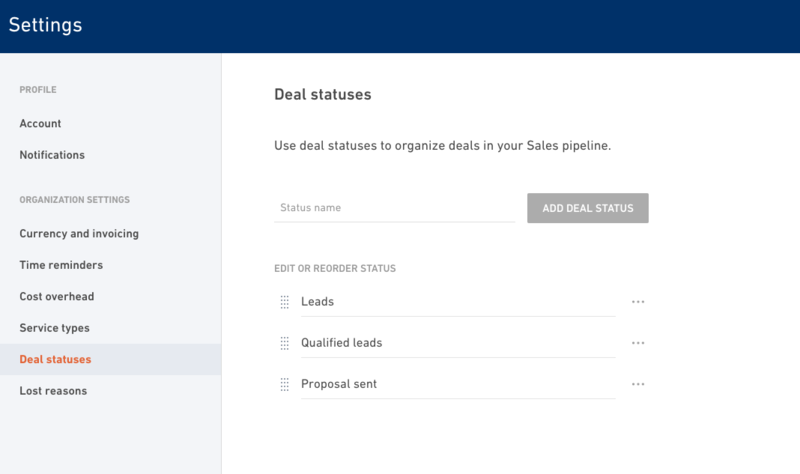 Select “Deal statuses” and add few sales pipeline statuses (e.g. Leads, Opportunities, Awaiting client feedback…). 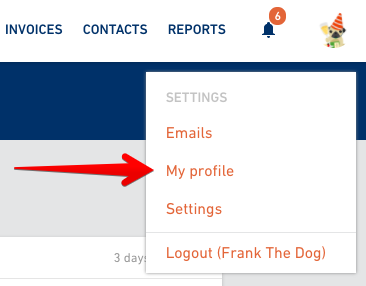 Click on your avatar icon again and select “My profile”. When you profile is opened, select the “Cost rate” tab. 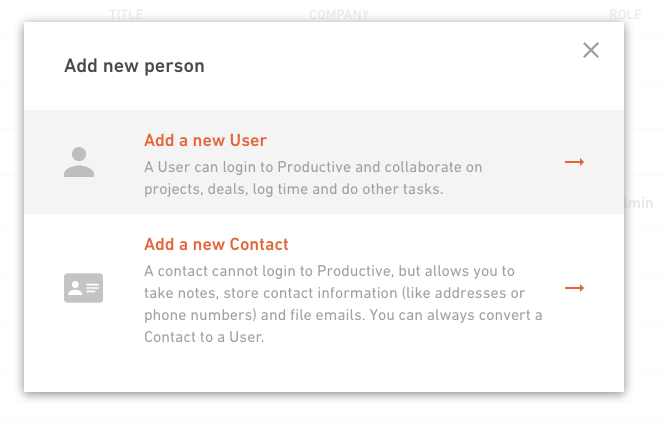 Click on the “Contacts” in the main menu and “Add person button” (big red button on the right). Select “Add a new user”. 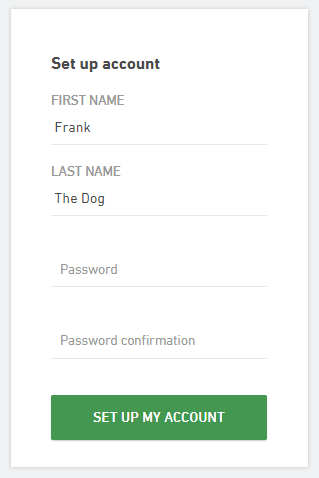 Fill the data and click “Invite”. 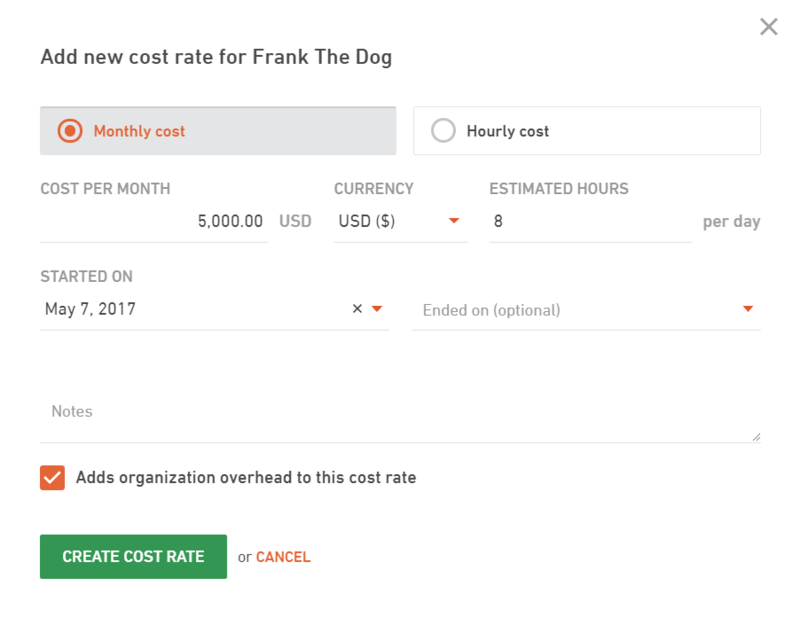 When the new user profile shows up open the “Cost rate” tab and add the cost rate the same way as before. 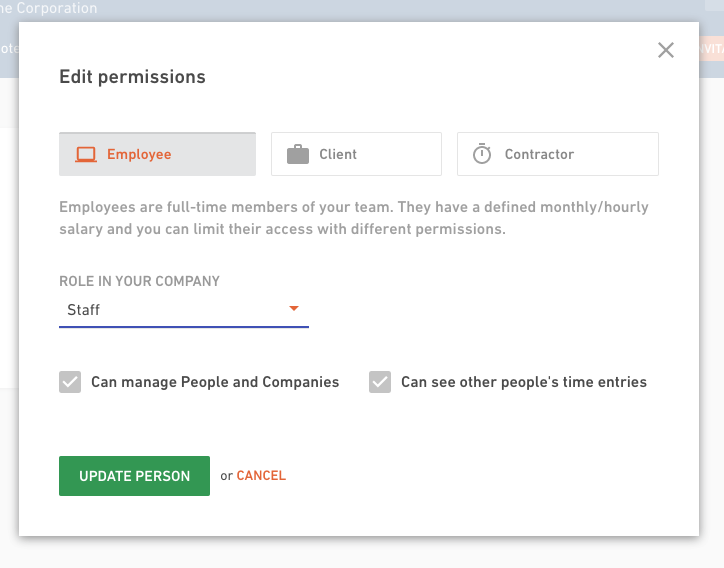 Open the user “Actions” menu (the “...” button in the right of the screen) and select “Edit permissions. 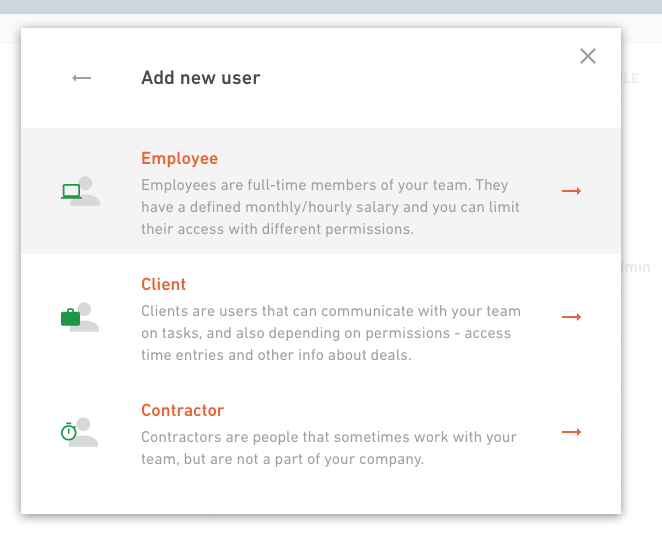 Set the user’s “Role in your company”.